Does your home or business need a professional duct cleaning this spring? Overtime, ducts can become filled with dust and dander. This happens because air pollutants (dust, dander, or mold) fill the air in your home or business and is forced into and collected in your HVAC system. This contaminates the air ducts and is recirculated throughout the air, resulting in allergies and sickness. Having your ducts cleaned can be beneficial to your health. Whether it is your business or residence, you want to make the best first impression as possible on your guests. If your guests notice dirt, strains, or even an odor on your carpets, they will associate your home or business as filthy and dirty. Our professional cleaning services can address moderate to heavy soil conditions in your carpets leaving with your guests with the best possible impression of your property! Odors in your home can come from a number of sources both inside and outside your home. Our technicians have the training and equipment to identify and eliminate these offensive odors. 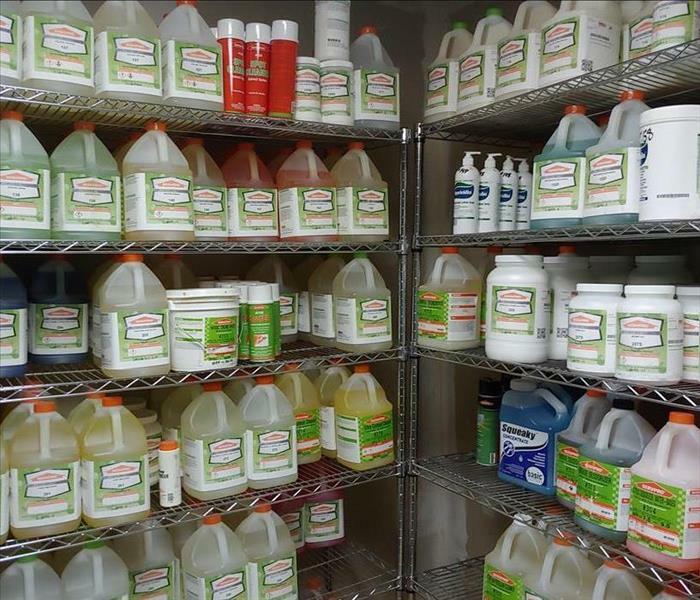 Our technicians have access to several odor removal products capable of penetrating surfaces to neutralize an unpleasant odor thoroughly. The science of identifying and eliminating odors can be a tricky thing, so give us a call, and leave the restoration to us. Some common unpleasant odors could be smoke either from a previous fire or cigarettes, skunk, pet odors such as urine, and mold or mildew. We have seen and worked with it all. As trained professionals we have the knowledge, equipment and trained staff to tackle your smelliest of odors. Need any of our professional cleaning services? Water damage in a residential or commercial property is often caused by things like water leaking or flooding that goes unnoticed for a period of time. From minor repairs to carpet replacements, identifying water damage early is the key to minimizing potential damage to your home. 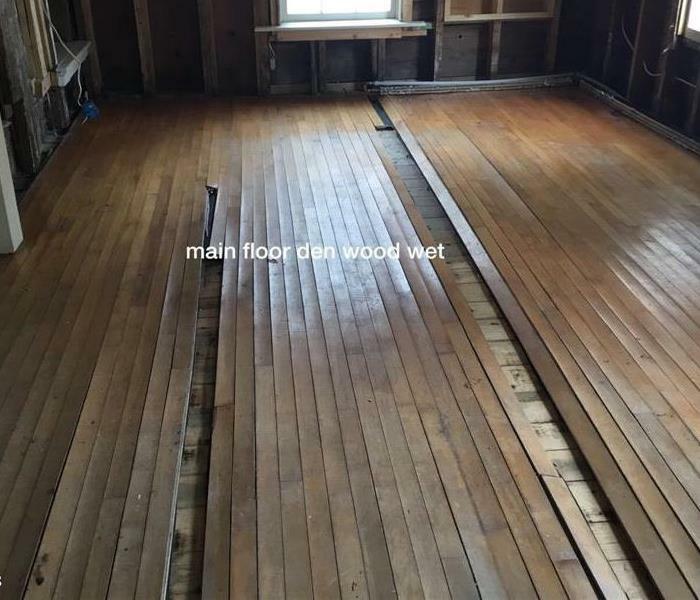 When a water loss, such as a burst pipe affects and saturates your hardwood wood floor, within a couple of days the floor can start to warp and the hardwood floor may completely need to be removed and replaced. Once your hardwood floor suffers water damage, they immediately become saturated. The quicker this water is removed from the flooring the more likeliness it is the floors can be saved. The most common piece of equipment used to save wood flooring is called an injectidry. An injectidry system is used to extract the water and moisture from an affected floor. Floor panels are placed on the affected floor and a hose is connected to the floors panels on one end and an injectidry system on the other end. This system creates to suction to lift up the water and moisture below the surface of the floor. 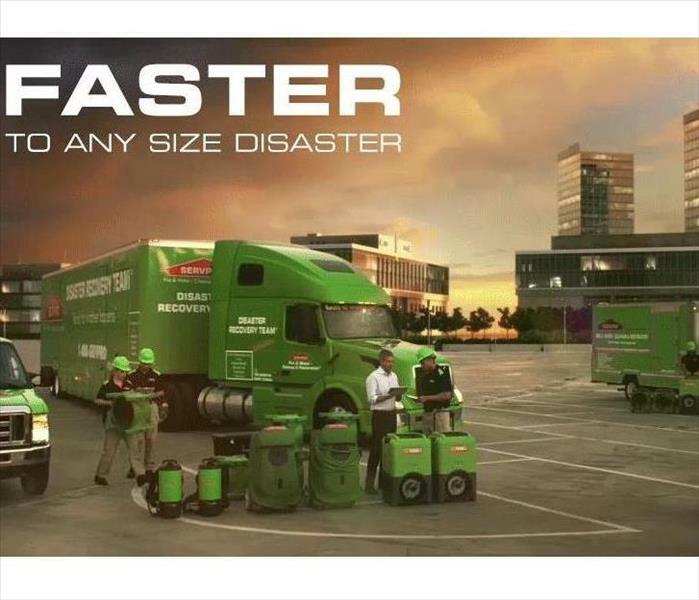 SERVPRO of North Rensselear/South Washington Counties has an on call 24/7 emergency response, so if you experience water damage to your wood floors, by calling us at (518)677-3444, you will have a greater chance of your floors being saved. Every residential and commercial property should have at least one fire extinguisher present on the premises. Many people do not know the different types of fire extinguishers; let alone how to use them. It is best to learn this before, so that you will be prepared in an event of an emergency. According to OSHA, the 3 most common types of fire extinguishers are air pressurized water (used for ordinary combustibles, such as paper, cloth, wood, rubber, and plastics), CO2 (used for flammable liquids, such as oils, gasoline, paint, lacquers, grease, solvent, and other flammable liquids) ,and dry chemical (used for electrical equipment, such as wiring, fuse boxes, energized electrical equipment, computers) . After a larger commercial loss, many businesses have a hard time reopening after the disaster occurs. A disaster could be anything from a frozen pipe, fire, leaky roof, etc. Having a plan of action will help reduce the cost of an unplanned event at your local business. The first step is to prepare an emergency plan. 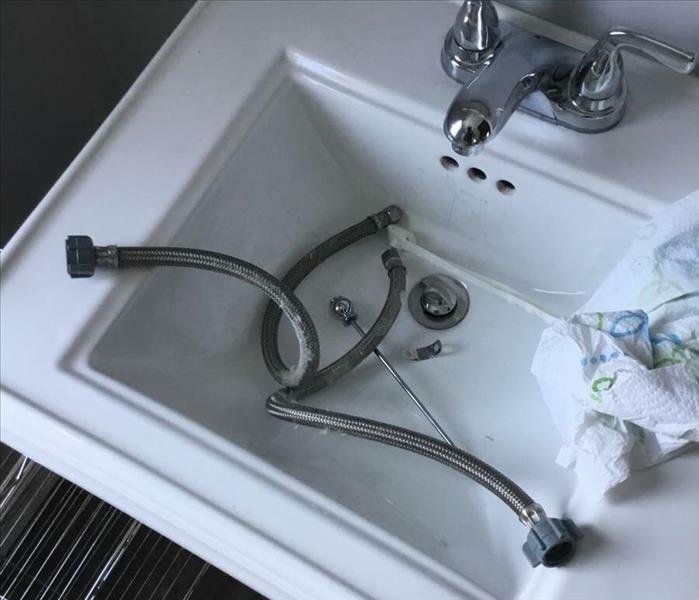 Knowing what to do when one of these events takes place ensures the right steps will be taken, for example knowing where the fire extinguisher is if a fire occurs or knowing how to shut off the water to the facility if a pipe freezes or breaks. When you have a plan of action in place, your business has a greater chance of reopening quicker after a disaster occurs. After you have your emergency plan in place, you will want to review your commercial insurance policy. Understanding your policy helps you know what is covered and not covered. You can always talk to your agent to reevaluate your policy if you feel you need more or less coverage. 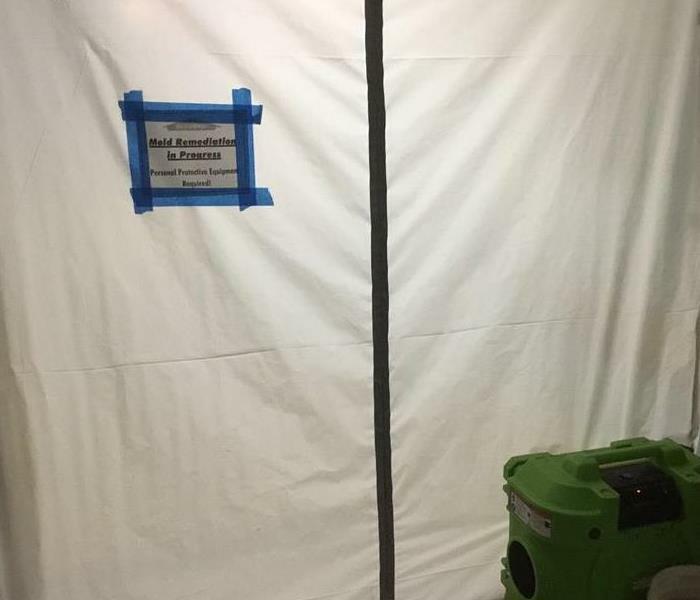 During a recent mold remediation job at a Cambridge, NY commercial establishment, we created an area of full containments to separate the mold affected areas from non affected areas. This helps prevent the spread of mold spores throughout the whole facility. Mold has a tendency to grow anywhere there is high moisture and easily can be transported from one room or surface to another. 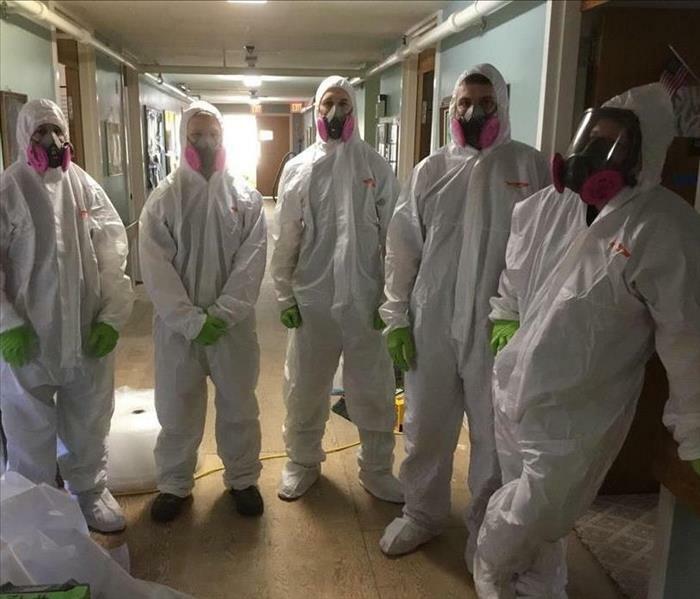 When our trained professionals come in they will use personal protective equipment to protect themselves from being exposed to the mold and also use these containments to prevent further spread of mold. These containments consist of airtight layers of polyethylene that seals off the affected area. The containments act as negative air chambers to isolate the contaminated area with physical barriers and negative air pressure to keep the mold spores from spreading during the cleanup process. Before the mold remediation starts, it is important that the source of moisture (such as a leaky roof) is identified and fixed, otherwise mold may return. SERVPRO of North Rensselaer/ South Washington Counties specializes in cleanup and restoration of residential and commercial property after a fire, smoke or water damage event. Our staff is highly trained in property damage restoration. We believe in continuous training: from initial and ongoing training at SERVPRO’s corporate training facility to regular IICRC-industry certification. 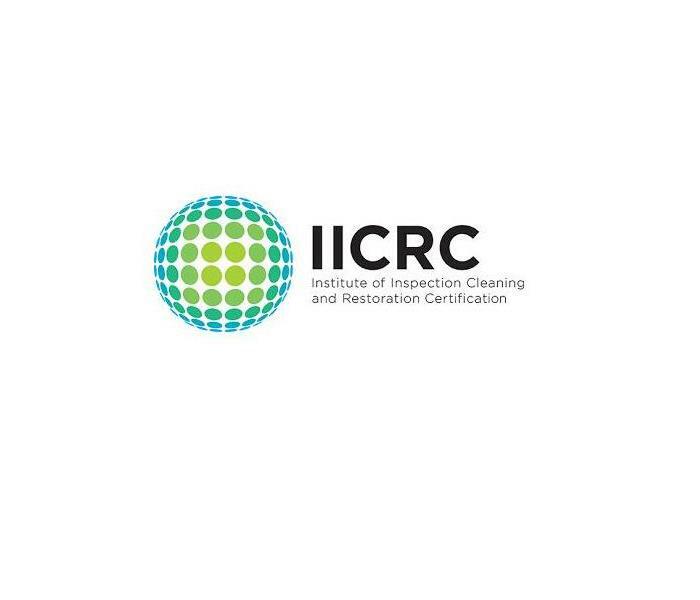 The Institute of Inspection, Cleaning and Restoration Certification (IICRC) has been the driving force in establishing industry standards and reference guides for professional carpet cleaning, water damage restoration and mold remediation. These IICRC standards take years to develop and require the coordination of experts in the field: manufacturers, industry organizations, insurance professionals, training schools, contractors, and public health professionals. Every five years, the standards are reviewed and updated. The water damage restoration field changes rapidly with advancements in technology and science, and therefore the standards must evolve to keep pace. 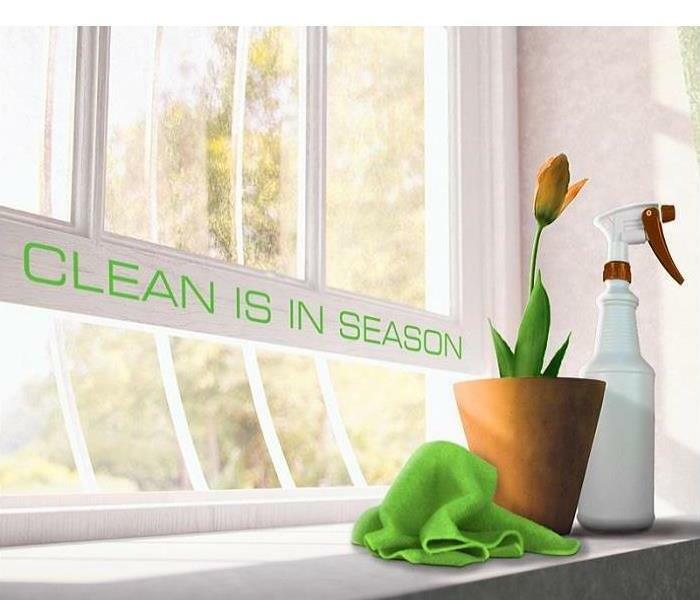 SERVPRO of North Rensselaer/South Washington Counties is an IICRC firm. The IICRC creates standards for the restoration industry and provides training and certification to restoration companies. IICRC Certified Firms have the right to display the IICRC Certified Logo. Our staff is highly trained and equipped with the knowledge to restore your property. With the temperatures dropping as we winter progresses, it is nice to sit back and relax and take off the chill by warming up next to your fireplace or space heater. It also can be very dangerous if you do not take the appropriate precautions. 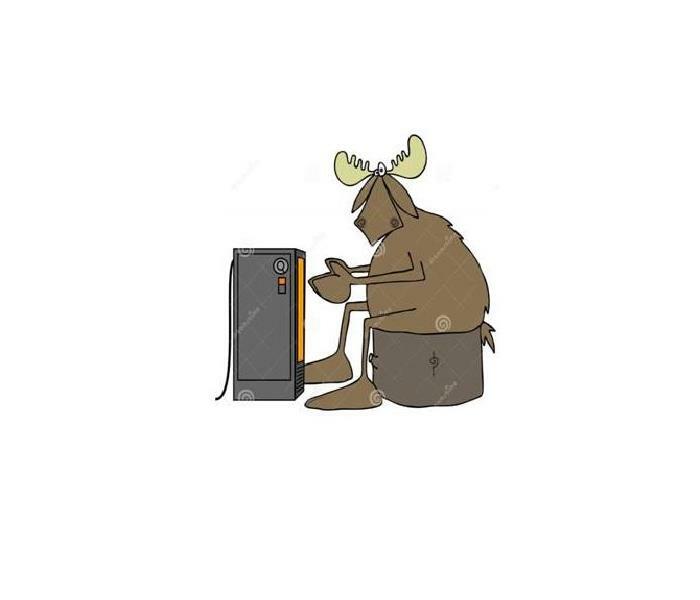 Here are some helpful tips to enjoy your cozy fire or warm space heater but still keeping safe. NEVER leave a space heater running without supervision. The plug can overheat and start a fire if it cannot handle the amount of energy it takes to run the heater. Better yet, you can even unplug your space heater when you do not have it running or are not home. Make sure your space heater is approved for indoor use. Most of the heaters that run on electric are safe to use indoors, but some heaters run on fuel and can produce carbon monoxide and should not be used indoors. NEVER use a space heater as a dryer. It can be tempting to warm socks or a blanket over the warm blowing air, but this is extremely dangerous as the materials can easily start a fire. Test Smoke detectors at least once a month. NEVER leave a fire unattended. Even though it seems to be a controlled fire, you can’t control a spark from flying out of the fire and onto a surface or a blanket in your home. Clean your chimney at least once a year and have it inspected by a trained professional. 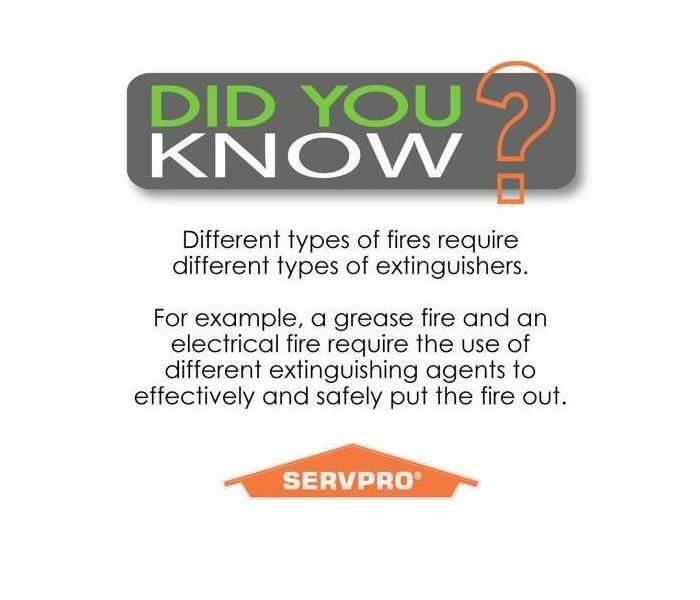 Contact our fire cleanup trained professionals at SERVPRO of North Rensselaer/South Washington Counties (518)677-3444 with our 24 hour emergency services, we are always here to help!